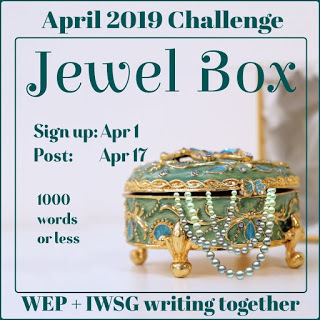 Your April IWSG begins with such a lovely photo of you and spring — and such a positive tone throughout, despite those ‘saggy middle’ concerns. I also map out where the stories going, but along the way (and through that first major revision), oh, there are doubts and hard work. 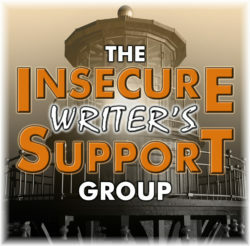 Your commitment to writing and to IWSG shines through. Have a good month, and thank you! Thank you so much for your thoughtfully considered comment. I’m always heartened to hear other writers tell me they have doubts and do the hard work. It’s comforting to know I’m not alone. Community is a wonderful support. Hope to see you again, and I’ll drop by your place to say hello. I think my comment may have gone to the spam zone. Oh, wow! What a beautiful picture! A few things are blooming in the valley, but in the mountains, it’s still pretty much winter-ish, except no snow. Lovely picture, lee. The flowers brighten the world. So happy spring is arriving. And yes, the middle of a story is important too. All sections have their purpose. If only wishes came true. But you can do it. You’ve proven it. Happy Writing. That’s first photo is beautiful — and the poppies make the hill blaze with color. I would find them quite distracting myself. Lancaster, CA is ablaze after a good rainy season. And this picture doesn’t capture all of the color in those hills. You just want to sit and stare. I could go for a non-saggy middle, for both my story and my body! Well, the body is a whole other issue. I’ll tackle that later. Oh yes, a non-saggy middle. It’s tough to get the word mattress number just right for it. Beautiful blooms! Great post. Spring is distracting! 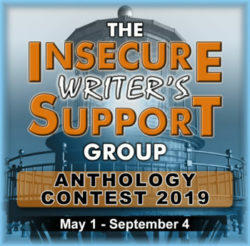 The next anthology genre looks enticing. Curious about the theme. And, thanks for the links to the podcasts. I’ll need to remember to check back here while I’m eating lunch and have a listen. I still have a couple I want to listen to. Each one has some gems. Hi Lee – wonderful photo of you out with the poppies – they are gorgeous aren’t they … ours start off with drifts of snowdrops, then the colours start to appear … daffodils and narcissi, celandines, early blossom of varying hues and then the sharp blue of the grape hyancinths and blue bells … let alone the polyanthus, the japonica and camellias … and then summer will be here! You are always such a busy lady! Nothing saggy about your life! I’m catching up with my blog visits slowly but surely. This month seemed to happen all on the first Wednesday. Cheers back at you. Spring is kinda making a shy appearance here. The best time for me is when we clean up the deck and bring out the furniture, and practically live out there for the next few months. Don’t suffer too much from the saggy middle – not in writing, anyway – but I always find it hard to bring things to a satisfying conclusion. Gorgeous pic…and the flowers aren’t half bad either, LOL. We’re just thankful for autumn Down Under as we’ve just had the hottest summer in history. 6 months of it. No such thing as climate change, eh? What a gorgeous photo! And the mattress image perfectly sums up the muddled middle. Lumpy, saggy, boring striped ticking. But wishing doesn’t get our butts in the chair and hands on the keyboard, and that’s what it takes to get through the muddle. I love the picture. I can almost smell the wind and the perfume flowers. Middles are hard for me too. I have to make sure I’m always ramping up the challenge to the next level and not keeping the flow the same 🙂 Happy IWSG Day. I know what you mean about spring. We’ve had a few warm days with sunshine and I feel like a little kid again wanting to be outside. Spring does bring out our “kidness.” It’s kind of like starting fresh. Spring is definitely a time to be outdoors. I’ll be thinking of you, Lynda. Hope that middle doesn’t sag and that you’ll shortly see a brilliant ending! I’ve seen a lot of wishes for first chapters and middles, but I just want the end of my book done! It does feel good to finally type those words, doesn’t it? Ah yes, the muddle in the middle. That is tough. Pretty flowers. Are those poppies? You seem to know what I mean about middles. 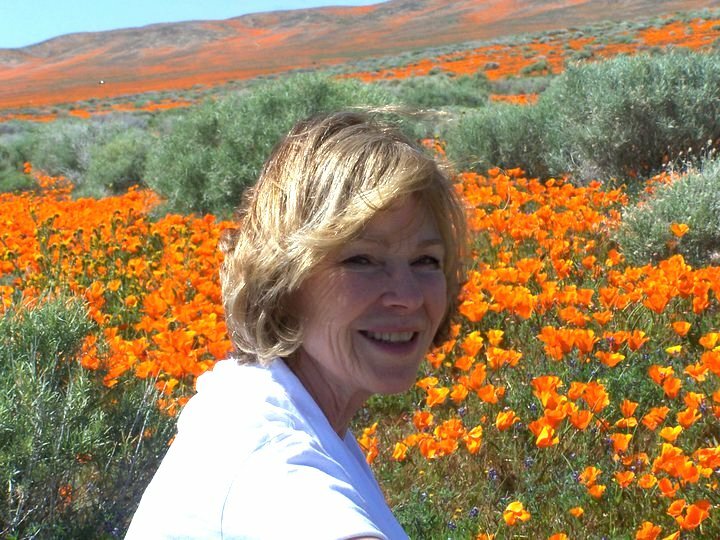 And yes, those are California poppies. I noticed that a saggy middle was a concern for many of us. Well, that middle is a large chunk of the story, so maybe we have a right to be concerned. I don’t like spring, never had. My favorite season is the early fall, when the beautiful leaves are blazing, and the rains haven’t come yet. Writing-wise, I don’t struggle with the middles. I struggle with the endings. Interesting about the season. We obviously live in different parts of the world. 🙂 Hope whatever ending your working on or toward turns out well. I love the spring too. We’ve only had a few nice days but some of my daffodils are up. The middle is the slowest part of the book to write for me because I’m always worried I’m letting it sag. Our daffodils have mostly bloomed and gone. They are so lovely that I’d like to keep them around longer. Glad we share that “middle” angst. What a beautiful picture! Middles can tend to sag, can’t they? If only we could wave a wand and the entire book would spruce up from beginning to end…kind of like the gorgeous Spring flowers! A very lovely comparison! Yes, that would be nice to have those stories spring into shape by merely wishing them so. Lee you are so beautiful. I love that picture of you. I think I am gonna have to read that book sounds like my kind of SF. That is some interesting advice Alex gave. I have never heard that before. I need to give that some thought. Happy IWSG. The poppies are beautiful. I just smile a lot. I enjoyed Diane’s book. It has a good story and it doesn’t sag in the middle! Wow! You packed a lot in this post. Love the picture at the top. Such a lovely pic of you and the colors are fabulous. We don’t have color yet here along Lake Michigan. Still too cold. But the daffs and tulips are poking out of the cold ground. 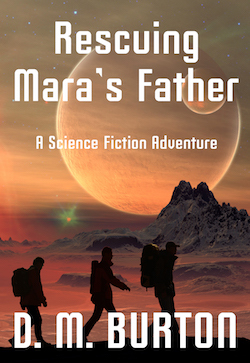 Thanks for the great review of Rescuing Mara’s Father. I do appreciate it. Let me know when I can return the favor. I’m glad you liked the review, and you can see why I had to cut back on including some information, right? Today’s post was jammed with stuff. You can send me pictures of your daffs and tulips when they pop. Ours are at the end. Isn’t it interesting that all of us are so different in this endeavor called writing? I love writing the beginning, and although I obviously have to rewrite, they seem easy by comparison to the middle. I’ve read four of your books, and am now trying to figure out where in the world is your saggy-middle-section? Love the photo… really beautiful. Thank you for being a reader as well as a writer, Michelle! You are truly appreciated. Trust me, there is nothing/nada/zip sad and soggy about your middle chapters. They are so taut they twang. You are one sweet reader. Thank you for that. What a beautiful picture of you. I’m just starting to go out to work in my yard the last few days and I’m walking my dog regularly. Off to read your interview. Lucky dog! That’s one thing about being a dog owner, the walking keeps you in shape. Happy spring gardening. We are cookin’ that’s for sure. I didn’t think I’d ever stop writing this post; the announcements kept coming and coming. Ha ha. I just thought of something. This particular time in spring reminds me of a saggy middle in a book. I know I have to do something to get nature under control, but what? Laughing out here. Once you get nature lassoed, give me call and we can work on the saggy middles together. You said it, girl! The sad, soggy middle. Mine needs a dozen wishes to keep it afloat. I love crafting the beginning and the end. The middle, not so much. Glad to be in the same fear of the middle boat! I’m sure there are strategies to overcome this, but I’m still not sure what they are. What a great picture. You have the most beautiful smile. I’ve read your stories. They’re hardly soggy in the middle! I hug my readers if I get a chance. Here’s my cyber hug. Thanks for your comment. Wow! No wonder you’re drawn to look outside. How wonderful (if distracting) to be greeted by such beauty. Saggy middles were a problem when I was writing longer stories, but I tend to keep it short(ish) these days. For now. 🙂 I hate beginnings and endings! Love the quote, btw! Lol. I like your way of dealing with saggy middles. I may give it a shot. Thanks, Anna. Here’s to getting all of our wishes and gardens to enjoy. I love those orange flowers! It’s such a strong, vibrant color. I’m indefinitely stuck in an area without a real winter (other than some cold days and rare snow), so it feels very wrong and unnatural to not have lots of snow and ice for a good five months and then see the Earth bursting back to life. As much as I hated snow and ice, it just feels right for there to be four distinct seasons. We don’t have those seasons. Well, we have them, but the weather isn’t that distinct. This orange flowers are California poppies, our state flower. They are gorgeous this time of year. I know what you mean about a soggy middle. Luckily, I haven’t suffered that but my problems with beginning and ending well make up for it. And–I understand the three-minute rule. My home office overlooks my gorgeous backyard and I am always wondering what’s going on back there! That’s the problem with gorgeous yard we look out on. They beckon when the weather’s good, even when it’s not, but the pull is really strong when the sun’s out and everything’s in bloom. I’m worrying about middles, too. You can tell it’s spring here. There is yellow-green pine tree pollen on EVERYTHING. That pollen causes me all kinds of problems, but can’t escape it when you live in a forest. Here’s to our middles holding together. The wild flowers are finally starting to bloom here! diy MFA looks like it packed full of good stuff! Onward through the fog. I’ll let you know what happens after the training today. I have no idea what I’m doing, but since that’s fairly common for me these days, I’ll just plunge ahead and see what happens. I thought I was ready for spring last Saturday, taking a jog in a t-shirt and shorts. Then on Sunday, I took the same route, wearing boots, coat, gloves, and earmuffs as it was snowing like crazy and even left 5 inches on the ground the next morning. It’s melted now, but I’m not so sure it will be the last of the white stuff this year. Not that I mind. Snow is so beautiful. This weather is an on and off, hot and cold, snow and sun proposition these days. We fluctuate between rain and sunshine almost daily. I love fresh snow, too. It is beautiful. That is a fabulous picture of you in the foreground and the hills alive with colorful flowers. It is indeed a delightful time of year in your part of the country. I enjoyed and learned from your interview at Book Sage. I appreciate how much of a struggle it can be to produce the middle chapters of a book to hold the reader’s interest and carry him or her through to the end. You have many exciting things going on in your life at present. Knowing that makes me happy. Take care, dear friend Cheryl-Lee. Enjoy the rest of the month and come over and see me at Shady’s Place when you get the chance. Hi Shady! Thank you for visiting The Book Sage. He’s a really good reviewer. I value his insights. I may have too many things going on right now. I’m beginning to feel the crunch. I’ll be by to say hello at your place soon. Love the picture. We still have snow melting everywhere so it’ll be a while before we see that! After heavy rains in California, the wild flowers pop up all over the place. I enjoyed Diane’s book, and I think others will, too. Wow, what a gorgeous photo, Lee. The snow is slowly melting here, but it’s not full-blown spring like that yet. Congrats on the interview. I hope you are doing well. We have a ton of snow this year, but it’s all up in the mountains. We have to drive to see it. Here’s to spring reaching you soon. I am also itching to get to my yard work! Happy Spring! Yes, the fear of saggy middles threatens me too. We do have a lot happening. Glad someone is experiencing spring. I remember someone saying write a great beginning and a great ending and then put them as close together as possible. That lessens middle issues.